*full disclosure: an online screener of this film was provided by director Michael Bartlett. Cast: J. Michael Trautmann, Dana Melanie and Daniel Fredrick. 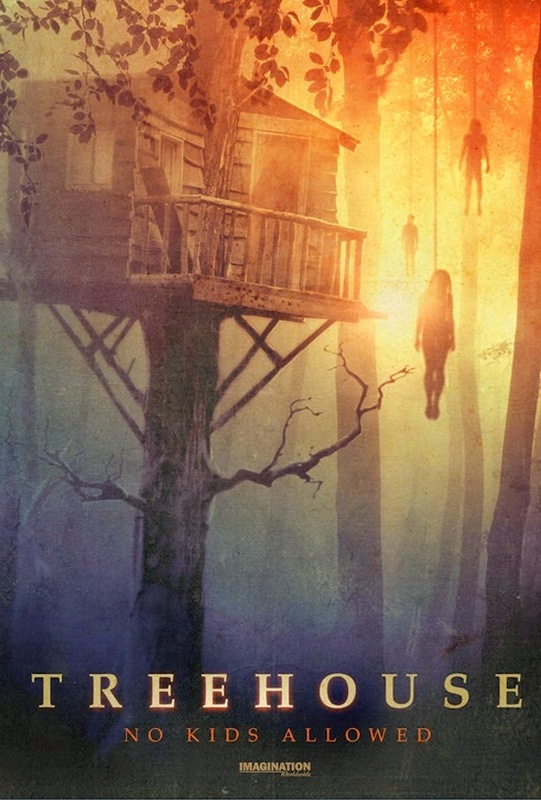 Treehouse is a suspense thriller from four time feature film director Michael Bartlett (The Zombie Diaries). The film was adapted to screen from Alex Child and Miles Harrington's script. Currently at the Cannes Film Festival, an opportunity to review this film early was provided to this film fan and some thoughts on Treehouse are hosted here. Thoroughly suspenseful, Treehouse is a well-paced thriller, which brings a lot of emotion to the screen. A supernatural or malicious physical element is plaguing a pair of teenagers and tension is built by this threatening element. This title is a standout indie feature, because of its attention to directing techniques and the performances provided by actors J. Michael Trautmann and Dana Melanie. Treehouse is a very creepy feature, which needs to reach a wide audience. The story begins with a double kidnapping. Early scenes show the character Elizabeth (Melanie) looking for her younger brother, Little Bob (Jake Gregory). Instead of her brother, Elizabeth finds a strange character on her isolated ranch; she gives chase. Then, the film transitions to new characters and settings. Brothers Killian (J. Michael Trautmann) and Crawford (Daniel Fredrick) are out in the woods for a night of fun. But, fun does not come knocking. Instead, these two brothers find Elizabeth frightened and wounded in a large treehouse. Mysterious shadows in the forest below suggest that someone or something is out to get them. 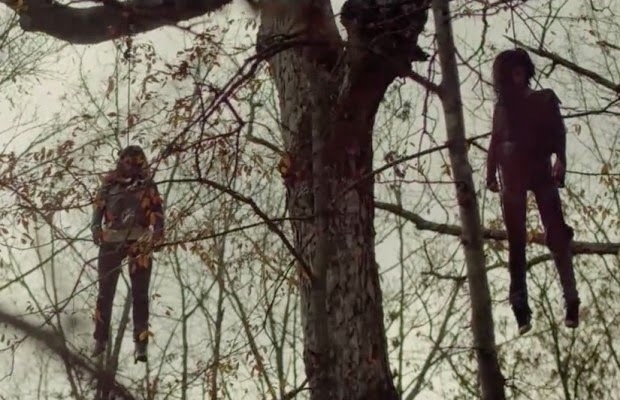 Something bloody hangs in the trees. Treehouse can be classified as a suspense thriller for a couple of reasons. The story relies on keeping the antagonist's identity a secret, until late in the picture. In the meantime, the villains make their presence known, indirectly. The landscape is littered with a few traps and some bodies. The film finds its intrigue by revealing very little, until the final act. As well, the outcomes of a few characters is kept in mystery. Crawford sets out in search of help, when it becomes clear that they are in true peril. Does Crawford find help? And, what happened to Little Bob? Future viewers of this film will have to be patient to find out what happened to these characters. This slow reveal of events and eventualities is one of the film's stronger points. Treehouse has a few other standout features. The film is developed much like a siege film, in which the protagonists must defend themselves against an external assault. The elaborate treehouse in the film acts as a bunker, with the teenagers inside stalked and harrassed by evil. The assault and retreat by the villains introduces some very solid conflict and a few surprises are housed in the tree limbs, which support the treehouse (see above). Also, the film's story focuses on characterizations. The characters are developed through flashbacks and dialogue. These flashbacks show Killian and Elizabeth before they were introduced to a slow burning hell. The interactions between these two characters will also draw viewers in as Killian and Elizabeth reveal their concern for their missing kinfolk. 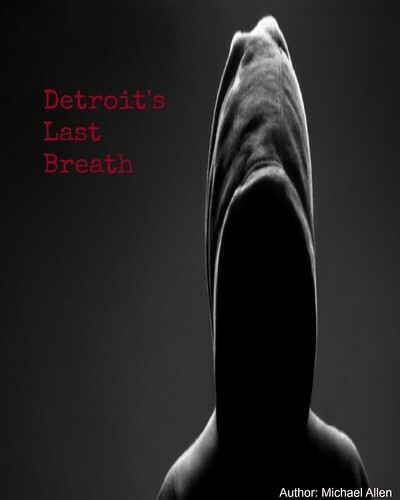 There are no shallow, central characters to be found in this title. Treehouse is an indie feature with an interesting shooting style. Untypical of an indie thriller, Bartlett utilizes diverse camera angles and ranges. For instance, aerial shots are introduced early to transition the film from an early action sequence into slower paced scenes. These shots also have the effect of showing the forest settings from a long distance. It appears there is no escape from the woods in this picture (in any direction). Also, the director uses appropriate close-ups and mid-range shots for dialogue scenes. This allows the viewer to see the actors' realistic emotion, first-hand. From medium range action shots to longer range exteriors, the camera is telling the film's story in an exceptional manner. It is this reviewer's hope that Treehouse finds wide distribution, so that film fans can see this suspense thriller for themselves. Currently, Bartlett and sales agents are looking for distribution for Treehouse in North America and other territories; it is likely that this film will be released later this year or in 2015. Then, fans of true mysteries and thrillers can view the film and ask their own questions about this title as surprises wait late in the film. Well produced and often exciting, Treehouse is a memorable indie film, which draws out a lot of strong emotions. Overall: 8 out of 10 (strong characterizations, a solid story, a late transition from the antagonists comes a scene or two too quickly, an excellent climax). *an official trailer for this title will be posted later this week.